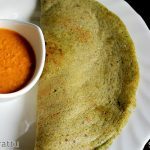 Pesarattu recipe, Learn how to make pesarattu dosa – Pesarattu is a protein packed healthy breakfast made using whole green gram. 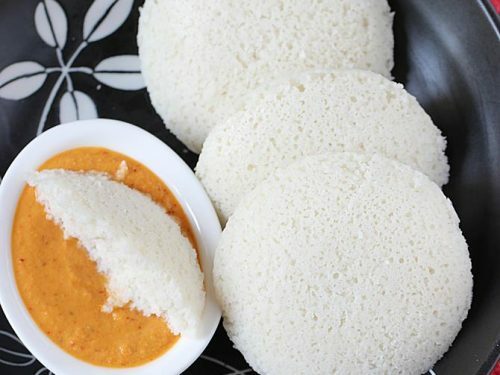 It is one of the most commonly eaten Breakfasts from Andhra cuisine. These are made with whole moong dal called as pesalu in my native language, Telugu. 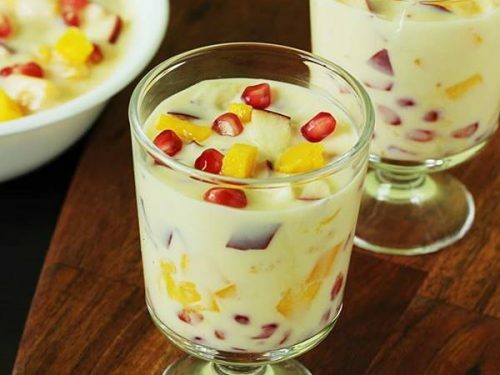 They are often served with ginger chutney and upma. Making a pesarattu that is crispy, thin and tasty is something which comes out of practice. It is not difficult but there are few tips to follow to make it right. 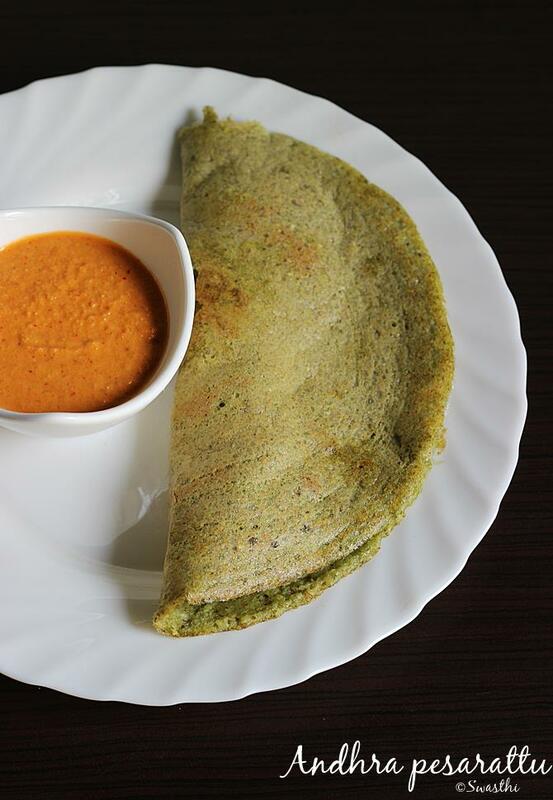 To make pesarattu, we don’t have to use rice or flour and that definitely alters the taste. It is not possible to make good pesarattu with over soaked green gram or with stale batter or refrigerated batter. The ground batter has to be used right away. 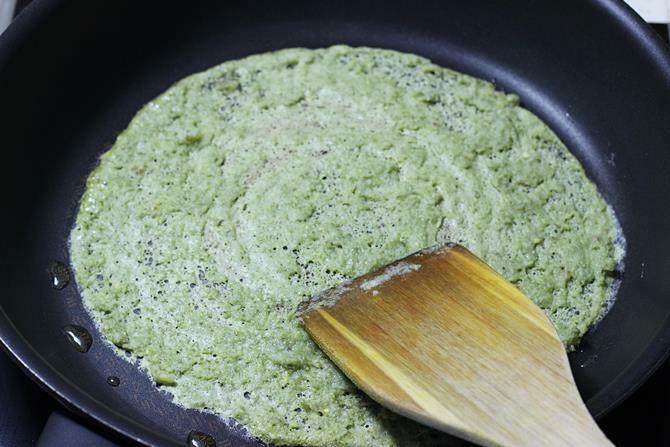 Using stored or refrigerated batter may result in thick, brownish and tasteless pesarattu. They have never turned good for me that way. However one can use one tbsp rice if preferred while soaking. Or even little rice flour can be used while grinding the dal. To make pesarattu crispy and thin, we just need to soak them only for 4 to 6 hours. The lesser soaking time, the crispier and thin they turn out. There are many variations to making these like using onions, chilies, or grated carrots etc. They are just sprinkled over the pesarattu on the inner side. 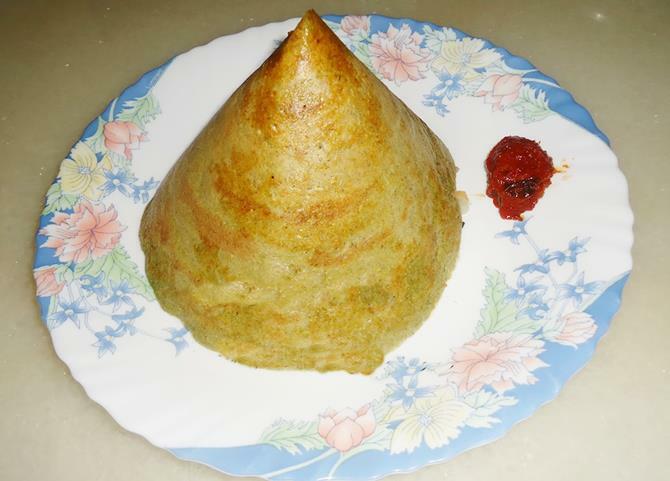 With the dal just soaked for 4 hours, you can even get a cone shaped pesarattu. 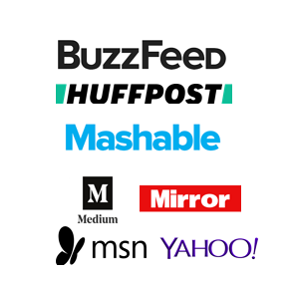 I have shared a picture at the end of this post. 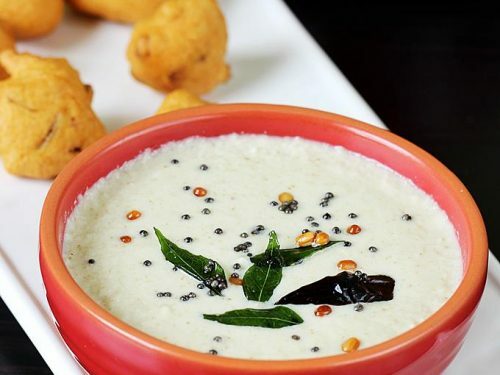 Though Allam pachadi goes well with pesarattu, my personal choice is any ginger flavored chutney like ginger chutney, capsicum chutney or a coconut chutney. 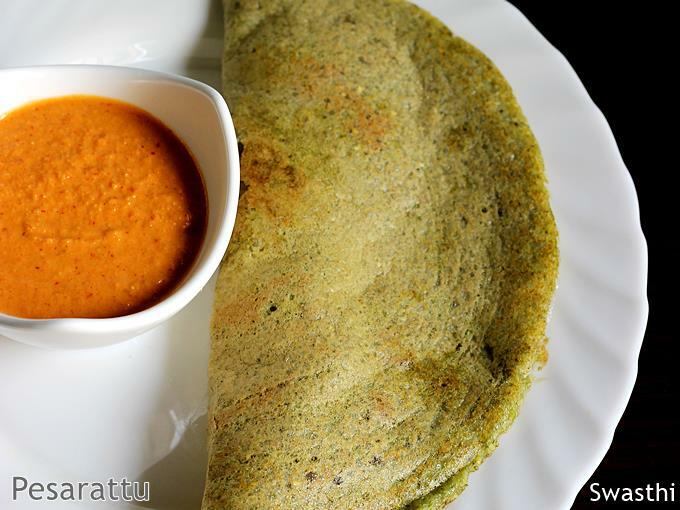 Pesarattu is a protein packed breakfast made with green gram or mung bean. It is served with ginger chutney. Upma- pesarattu is a popular combination that many love to enjoy for their breakfast. Clean and discard stones from green gram. Wash several times with clean water and soak them in ample water for about 4 to 6 hours. Add moong dal, chilies, cumin, ginger and salt to a blender jar along with little water just enough to make a thick batter. Blend the ingredients to a slightly coarse or smooth batter. Pesarattu batter must be of pouring consistency yet thick. If needed pour more water to bring the batter to a consistency. 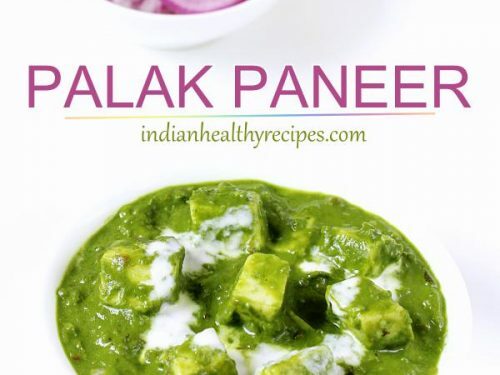 Do not make the batter runny as the pesarattu will not turn crispy. This is optional for onion stuffing. Fry onions and chilies in 1 tsp oil till lightly golden. Set aside. Heat a greased tawa or non-stick pan on a medium flame. You can also rub the tawa with a cut onion. This prevents the pesarattu from sticking to the pan. Test by sprinkling little water. Immediately water should sizzle rapidly. When the water evaporates, reduce the flame to medium heat. Pour ½ to ¾ cup of batter on the tawa. Then quickly spread it to a thin layer. This step is optional. Lightly scrape off the thick parts with a wooden spatula to the thinner parts making it even. Pour ghee on the edges. 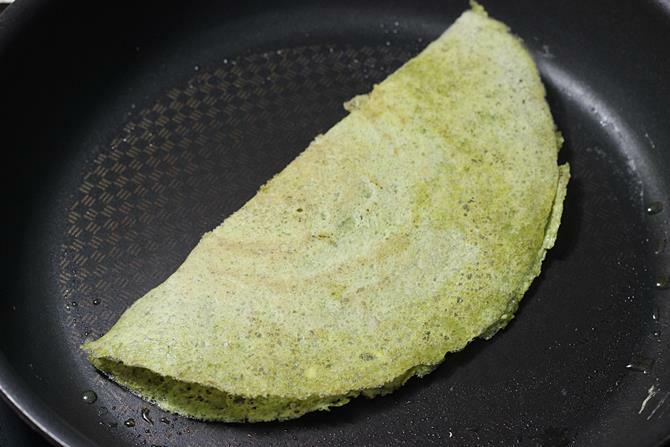 When the pesarattu is cooked well, you can see the edges begin to leave the pan. It also cooks to golden color & crisp on the outside. Do not over cook until it browns or discolors as the taste will alter. Then flip to the other side and cook. If it is fairly thin, you need not cook on the other side. You can sprinkle fried onions and chilies inside if you desire. Next fold it. To make the next pesarattu, sprinkle little water on the pan If it is very hot. Let the water evaporate, then rub the cut onion if desired. Then make the next one. 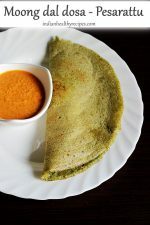 Serve pesarattu hot with ginger chutney. You can also make instant pesarattu with skinned yellow moong dal. 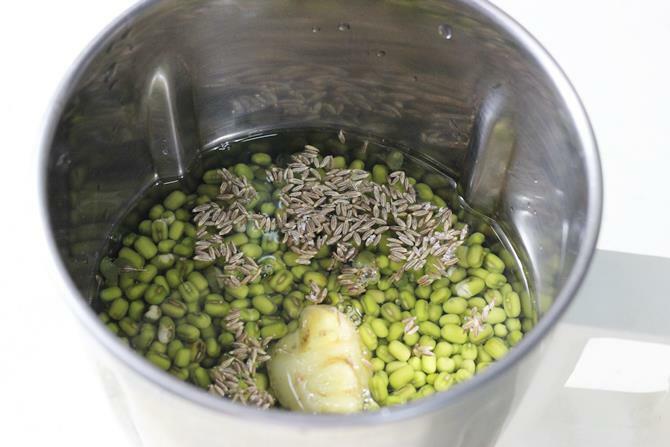 Just wash and soak the moong dal in slightly hot water for 1 hour. Drain the water and blend the same way as mentioned above. 1. 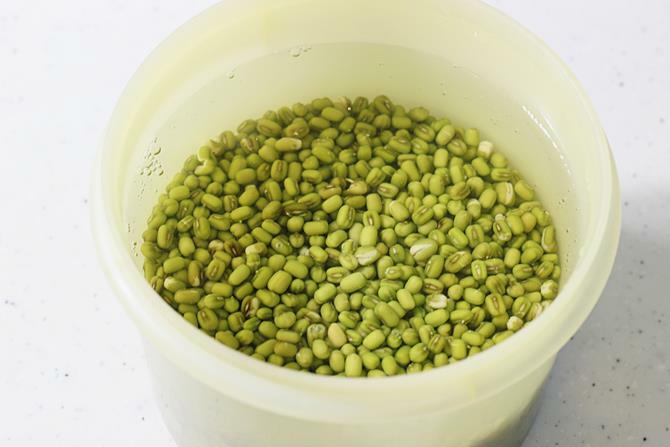 Wash and soak green gram in enough water for about 4 to 6 hours. If using rice soak it along with dal. 2. This is an optional step for onion pesarattu: Heat a pan with oil. Then fry the onions and chilies on a high flame till they turn slightly brown. Transfer to a plate and set aside. Top them as needed just before you serve. 3. Blend dal, ginger, salt, chilies, and cumin together with water as required. If you have over soaked i suggest adding little rice or flour. 4. 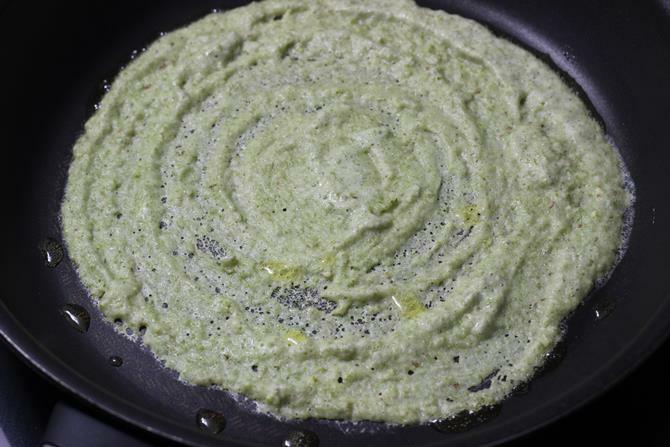 The batter must be smooth and the consistency similar to that of dosa batter. If you want it to be crispy, do not add water to the batter after you finish grinding. Bring it to the right consistency while you grind. 5. Heat a greased dosa tawa till hot. Pour the batter with a ladle and spread it to a thin round layer with the base of the ladle. Next add ½ to ¾ tsp. ghee on the edges. 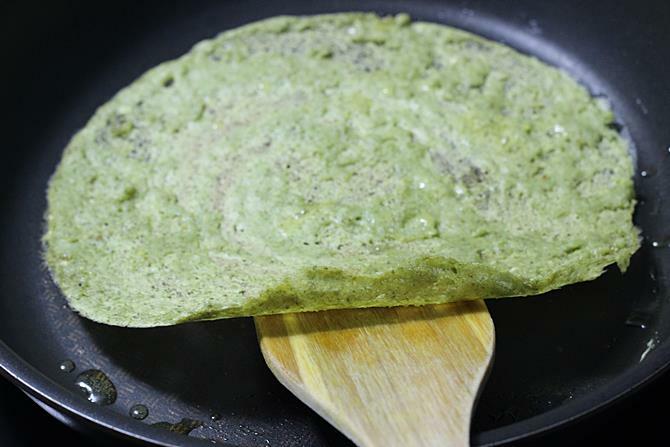 An overheated tawa yields brown pesarattu without cooking well. 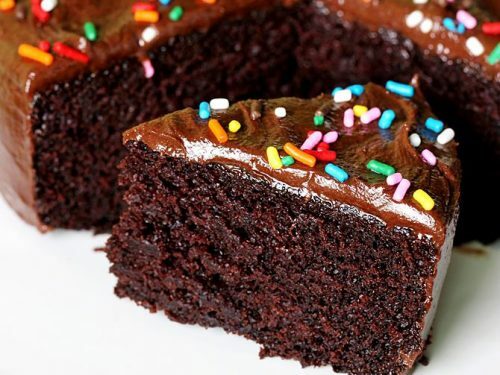 If you are unable to spread the batter it means the batter is very thick. 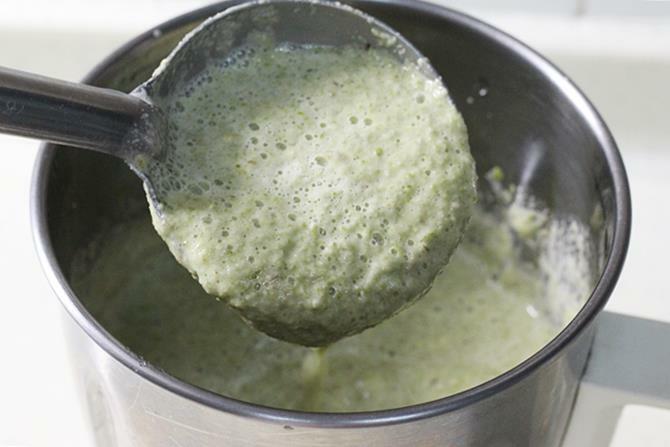 Add back to the blender with little water and blend again. Adding water directly to the batter most times doesn’t yield me good ones. 6. When the pesarattu firms up, scrape off lightly the thick parts with a wooden spoon moving it to the thinner parts. You will actually get nothing if you make it thin while spreading. 7. When it is roasted well, you get a thin crispy pesarattu. 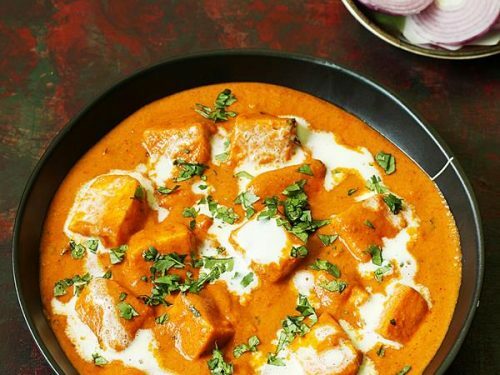 A little more ghee can be drizzled around if desired. 8. Usually it doesn’t need cooking on the other side if you make it thin. If the batter is moist, it need to be cooked on the other side as well. Flip it and fry to and fro as desired. Lastly if using onions, sprinkle fried onions and green chilies. If the tawa is very hot, sprinkle water. Next allow it to evaporate and repeat the procedure for making more.